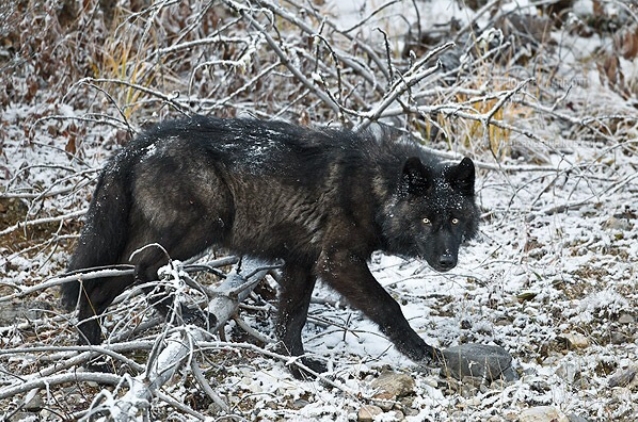 Shooting wolves and bears from airplanes is once again legal in Alaska's national wildlife refuges after President Trump signed legislation to allow the hunting of predator animals. The legislation signed Monday repeals a federal rule put in place during the Obama administration that banned the aerial shooting or baiting of animals with food in order to curb the population of bears, wolves and other predators. Put in place by the US Fish and Wildlife Service in August 2016, the rule prohibited the hunting of predator animals unless it was authorized by a refuge manager. It also outlined specific times when the ban could be temporarily lifted in order to reduce a predator population if the decision had been evaluated and other alternatives studied. Former Fish and Wildlife Service Director Dan Ashe, characterized the hunting tactics at the time as "a withering attack on bears and wolves that is wholly at odds with America’s long tradition of ethical, sportsmanlike, fair-chase hunting." National wildlife refuges cover nearly 78 million acres in Alaska, stretching from the Arctic in the north to the Aleutian islands in the south. 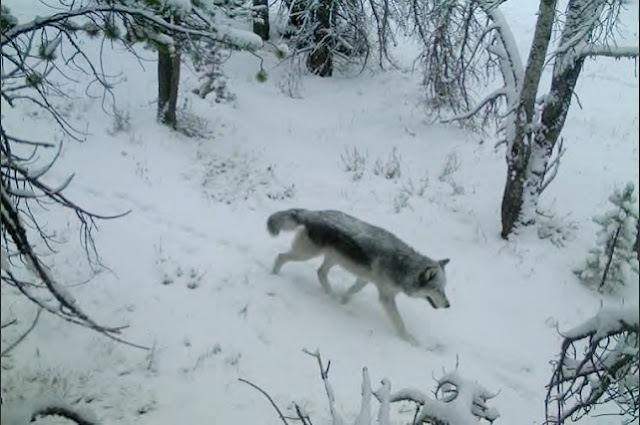 According to the Fish and Wildlife Service, the practice of "predator control" was implemented often to increase the population of other non-predatory species, including those that would be targeted by hunters in the refuges. The ban also prohibited the killing of bears when they were near cubs or dens. The Center for Biological Diversity criticized the legislation as it headed to President Trump's desk for his signature. "This isn't hunting - it's slaughter," government affairs director for the Center for Biological Diversity Brett Hartl said in a statement. "Killing wolves and bears in this cruel, unsportsmanlike fashion is outrageous, especially in national wildlife refuges that belong to all Americans." The Sierra Club also condemned the lifting of the ban. 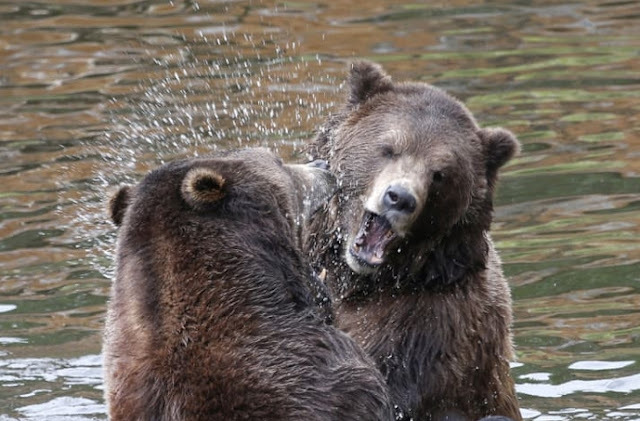 “Targeting cubs with mothers, baiting, and other extreme hunting measures promoted by this resolution have no place on our public lands,” said Alli Harvey, Alaska representative with the Sierra Club’s Our Wild America campaign. Alaska's congressional delegation, however, supported the bill's passage through the Senate and House to overturn the hunting ban. Republican Sen. Dan Sullivan applauded the change and criticized the Fish and Wildlife Service, which he said usurped the state's authority. “Alaskans have been able to maintain these strong and life-sustaining traditions through a rigorous scientific process that allows for public participation and ensures we manage our fish and game for sustainability, as required by the Alaska Constitution," he said. Responses to "Government Just Lifted A Ban On Shooting Bears And Wolves From Airplanes In Alaska"
What has gone wrong with our country? Oh wait, it's the crappy government that cares nothing for animals. I can not believe the brutality of this decision.. People go to Alaska for the beauty and the wild life. Guess what: take away all your wildlife and you have nothing. I went to Alaska and marveled at the beauty and the animals. NO MORE! From now on I will do all I can to discourage Alaska tourism. You are barbaric and with out soul. By the way: Go to Hell. The complete disregard by this administration for wildlife and ocean life is a disgrace to all Americans. This is horrific where many states have killing contests and now this what is the USA doing to the Wildlife why such a war? It is outrageous and these environmental groups must stop this war now before we lose all of our wildlife! Well, I believe it was in the 70's the last time this stupid, barbaric, cowardly action was in force. At that time , there were people in Alaska that wanted to shoot those planes etc down- I see their point. Since we have a corrupt administration who thinks TROPHY HUNTING is "cool"-what can you expect. I would follow the money and see who is getting paid off to encourage and allow this action. SCUM always finds it's Level- look for oil ans gas links-look for the "cowards" that want the easy so called hunt. COME ON ALASKA-STOP THIS BS- WE NEED ALL OUR ANIMALS TO SURVIVE- REMEMBER-THIS PLANET CANNOT AFFORD TO TILL THE BALANCE OF OUR ENVIRONMENT.ONLY A FOOL CUTS HIS OWN THROAT!!!!!!! This is the worst decision I have ever heard. Allowing this is not giving these animals, who by the way were on this land before humans, the right to fight for their lives. This is just another stupid move by the President and anyone who agrees with him. Please post links for us to take action and speak out against this. the 49th state and admit the planet Mars to take its place! !